Rare-migrant, some estimates place the population at only around 2600 to 3000 birds left worldwide. The Chinese Egret is an endangered species. A victim of hunting for its plumes in the 19th century and habitat loss today. It is legally protected in Russia, China, Taiwan, and South Korea. Identifying this bird in non-breeding plumage is difficult. It looks very similar to either a Little Egret or Eastern Reef Egret in white morph. 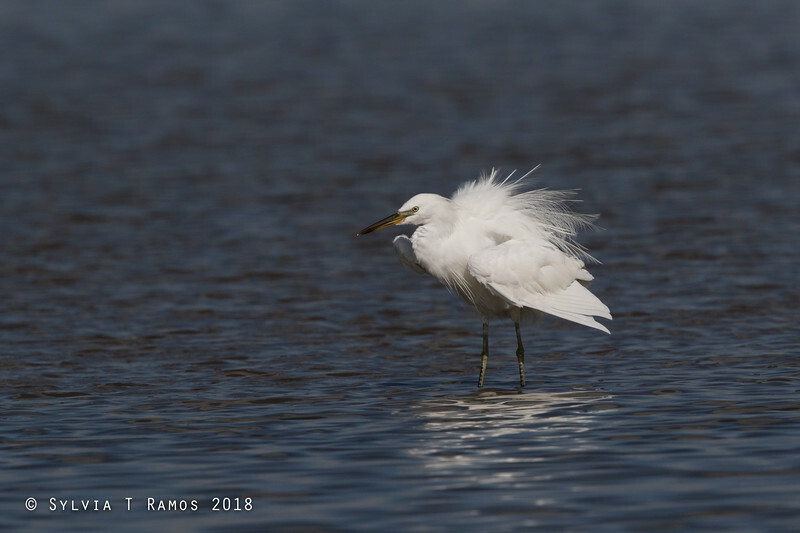 The first time we photographed this bird it was a challenge to identify.In the two pictures which were taken in Manila Bay could be Chinese Egrets. We like to believe the id of Steve Pryor who said, "Not alba - gape line finishes centrally under the eye. Not a Reef-Egret - they have legs that are thicker and shorter. Not an Intermediate - bill is too long and not blunt enough, other than the color of the feet. Based on the longer, more affusolate bill, the color differences between the two mandibles, the color of the legs and feet, the color of the preocular glabrous skin, the noticeably longer on profile thorax respect to garzetta, I would think this to be a Chinese Egret." We saw this bird again in the Tubbataha Reef in May 2011. Thankfully it was in breeding plumage this time and easy to identify. There were three of these birds in the North Islet of Tubbataha and one in the sand bar of the Ranger's station. In March 2012, we saw many Chinese Egrets in Olango, Cebu. We were able to observe the distinctive way it hunts for food. It walks and runs back and forth in the shallow water with its head tilted to the side.